From the initial sketches to the final stroke, we make judgments about what we have done. We must cultivate a sensitive awareness for how a shape/value/color affects what is already there. Does it contribute to the emotional content...does it fit within the visual concept. Or does it suggest a better direction. Gradually the painting develops guided by our aesthetic judgment at each step. Technical ability is important, but the ability to critique is essential. If a beginning painter had the judgment of a master like Rembrandt he would soon be producing great art. Learning to critique the work of others is the place to start. You can learn from the paintings you admire greatly and from the one's you don't care for. If you like it analyze what the artist has done with the elements and principles of design that made for a successful picture. If you don't like it, what has gone wrong and how would you fix it. The more you do this the more you will learn about painting and the better your own paintings will be. Find two paintings that are similar, one you like and one you don't. Compare and contrast what each artist has done and how they did it. Try to use the good stuff in your next painting and avoid the bad stuff. Emotional Content. Everyone who paints pictures was originally drawn to it because of a powerful, gut-level reaction to the painting of some master. The first question must be: Does it have emotional impact...low, medium or high? This question is answered in the first spit second you look at the painting. You have to be alert for this emotional reaction. It is always accurate and can not be explained by reason and logic...it just is. It often goes unnoticed or is disregarded as the intellect immediately takes over. Visual Concept. This is the visual idea that has been employed to communicate the emotional content. What is the organizing principle, the artistic concept? If it has emotional content it will have a visual concept. 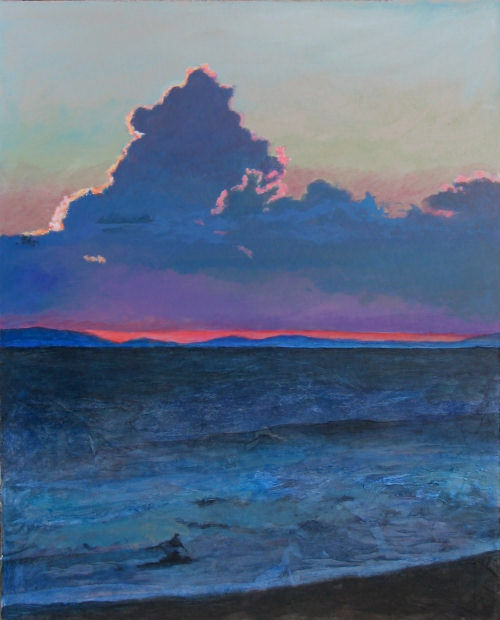 Regardless of subject, medium, technique, or level of experience, all painters unavoidably work with space, line, value, and color. By controlling visual relationships, we create images of things that won’t actually be on the picture surface at all: form, depth, separation, texture, and varying degrees and types of light. Depicted accurately, these elements magically produce convincing illusions of subject matter. Art has always been a means of communication. It’s a “show and tell” process with the telling being most important. We zoom in on what we personally discover to be the most important aspect of our subject, and then we relate principles of art to increase the effectiveness of communicating our unique emotional rapport with that something special. Technically, we must understand exactly how end results are achieved or why they fail. It’s those visual relationships that make the difference. We must see and know our subject. Guesswork probably destroys more compositions than any other factor. Good enough usually isn’t. We cannot possibly produce work with artistic merit until we focus intently on principles of art rather than merely attempt to duplicate what we see “just like it is,” leaving nothing out, but putting nothing in of our own choice. I believe that it is necessary to recognize, evaluate, and control eight major components of every painting. This is the all-important first glance impression when looking at our own work or that of others. It’s often called the WOW factor. If the finished work doesn’t take our breath away or require a double take, it probably won’t make much of an impression on others either. A painting should be easily understood. Its message should be as obvious as the melody rising above countless other supportive orchestral notes, or an easy to follow story line in well-written literature. The picture surface should generally be divided into just a few explicit measurements and shapes, while satisfying the universal human need for simplicity, harmony, and variety. This is the selection and relative positioning of subject matter or objects to fit into the compositional pattern and enhance illusions of form, depth, separation, and texture by showing varying degrees and types of light. Each visible object and surface reflects light. Light is what we depict. Only when the light we see is described accurately can the illusions of subject matter appear. Edges are selected and controlled so as to be sharply defined, soft, or unseen. Edges are what hold the composition together and are controlled to add emphasis to a focal point. Variations of color temperature, lightness, darkness, and brilliance are utilized to attract the eye, subdue importance, and clarify types of light, nearness, or distance. Horizontals, verticals, diagonals, straight or curved lines, and calm or active lines should vary in length, activity, and direction, while easily leading the eye toward a center of interest. Compositional integrity. A composition that knows its edges, balances internally and "works" in the "big picture." The superior creative eye often simplifies and is not distracted by minor elements or extraneous detail. Sound craftsmanship. No sloppy craftsmanship detected. Artist appears to be grounded in accepted means of application, order, and seems to have knowledge of media chemistry. Work looks like it is not liable to fall apart shortly. Colour sensitivity. Appears to have understanding of colour choices—complementary, analogous, etc. Often shows colour paucity and attention to sophisticated grays. I hate to use the word "taste," but I will. Creative interest. Subject is creatively different so that it attracts, leads and holds my attention to the artistic and creative elements within the work. I often become aware of a greater creative mind at work. Design control. Artist appears to have an understanding of how the eye is managed and led by the design, flow and activation of a work—effectively 'seducing' me. I often have the feeling of a masterful eye managing mine. Gestural momentum. Brushwork or line-work is often expressive and has bravura, bravado, courage and élan. It often shows variety of stroke and is generous in the "hand made" conveyance of visual energy. Artistic flair. Artist does something beyond blind representation and/or just moving the materials around in some form of lazy play. Work has style and panache and captivates in its artistry. "Wow, that's artistic!" Expressive intensity. All stops are pulled to enhance the central idea or general motif. It can be a "look," a mannerism or an illusion, but the intensity convinces me of the presence of a non-jaded, passionate, particular author. Professional touch. Artist avoids amateur methodology and gives a direct, confident, seasoned look to the work. Some people seem to know what they're doing, others do not. Professionals often, but not always, tend to leave their strokes alone. Surface quality. Up close and personal the surface is intriguing and a joy to cruise. This may be because of the texture, handling of pigment, or the complexity of surface abstraction, gradation, or other quality—anything that makes the surface fascinating. Intellectual depth. Artist gives me something to think about. There is an enduring resource here—not just a pretty picture but a thoughtful metaphor or other device that has staying power without retreating to sentiment or kitsch. Visual distinction. The art has a look of uniqueness, either with style, subject matter or handling. It looks different from what I've seen before, or if similar, arrests the eye with a unique feeling or look that denotes "character." Technical challenge. Artist has chosen something that requires above average skills or technical ability. Not just something that anybody could do. I love to see artists challenge themselves, take the technical risk, and win. Artistic audacity. Artist is "in your face" with some element that dazzles—skill, idea, technique, or some other in spades of the above mentioned points that makes me sit up and take notice. Artists should know that creative personality, stylistic uniqueness and the handmade look will forever be art's main virtues. The fundamentals of design can be used to plan and critique. These should be studied and internalized until they are second nature. The elements are like building blocks. The principles are the ways that the elements may be used together or how they relate to each other. These are not the rules for making art, they're not even guidelines. They help us identify the component parts of another artist's work and figure out what makes it tick. They help us think about, plan, organize and improve our own work. These fundamentals are an attempt to summarize what design is about, the accumulated wisdom of thousands of years. Home Depot has all the building materials needed to build a house...concrete, wood, shingles, etc....but nothing in there tells how they should be put together. That's like the elements of art. Plywood, nails and 2x10's are a few elements of house construction. Putting the 2x10's on edge at two foot centers, attaching the plywood with the nails and making the assembly horizontal is an established principle that results in a useable floor. You can leave out the plywood or build the floor at an angle, but it won't be a good house. The elements and principles of construction do not address the square footage, the number of rooms, the floor coverings, the style of architecture, etc., but they will result in a house we can live in. Somebody must decide how they will be put together, either you or your architect, according to certain well established principles. The result is a set of house plans. You start with a concrete foundation, then a floor, walls, roof, doors and windows. That's like the principles of art. With your plans in hand you are free to focus on getting the foundation level, the walls straight and the measurements right. Critiquing is like this: when the house is all done you notice it has no doors. Every good house needs doors, an essential element. You order doors and put them in. Now the house is complete and functional. Many art instruction books have a section about the fundamentals of design. You probably own several. If not a great deal of information is available on the internet. Protocol review — Go over the critique’s ground rules. Direct Observation — Critics provide their first impressions and associations, their spontaneous gut reaction. Comparative stage — Critics draw on their background, referencing other art they know. This can be cross-disciplinary, with references from music or the visual arts, for example. Formal analysis — Critics evaluate all objective criteria, such as media, balance of form and composition, color, contrast, point of view, content, clarity, etc. Artist’s statement — The artist presents his or her thesis, purpose, and intent and provides historical context. The defense — Artist and critics converse. Revision — The artist articulates problems, summarizes feedback, and considers revising the work. “Maybe we don’t emphasize this enough in the arts,” says Connors. Let's plan a very simple, minimalist painting. We'll use canvas, a horizontal format, 2' by 4' and one horizontal line. How many elements do we have? Just two...the shape of the canvas and the line. If the line goes from side to side, then we have four, three shapes and a line. Now we can go right down the list of principles. Do we have unity? Do we want Unity? What about harmony? Do we have contrast? No rhythm, repetition, gradation. We may have balance. The single line does dominate since there is nothing else. We can vary the length of the line and it's vertical position. We could vary it's width, color, value. What can we do to make it more interesting or do we want it to be uninteresting. Is a vertical format more interesting? Let's move the line to the middle. A whole series of questions must be answered in the making of a picture...some conscious, some not. Email me with any questions, comments or suggestions. 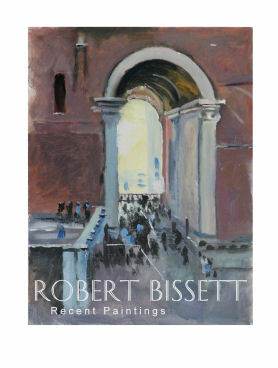 “There are mighty few people who think what they think they think.” So wrote Robert Henri, author of The Art Spirit, 3 speaking of the various answers to the question, What do I do when I paint? Beginners in art usually think of themselves as “painting that ” – say, a landscape. So they include every visible cow, barn, tree, and cloud. In reality, their first artistic impulse sprung from a rather quick glance, which is something far different from a photographic visualization of everything stimulating their retinas. What attracted them to notice this landscape was the massive, quiet dignity of a weathered-red barn surrounded by wind-shook acres of grain. In their original glimpse, they never saw the cows, they didn’t notice the clouds, and they barely registered the trees. Later, upon reflection, they think they did, and that mistake in thinking accounts for many an ineffective painting. Accomplished artists do not think of themselves as painting the total landscape seen after inspection. Rather they feel moved by some image, and they lay paint on canvas in a way that they hope will create a similar reaction in a viewer. They will leave out the cows and rearrange the clouds to enhance the impression of the majesty of that barn rising from those fields. They often remind themselves, “I am not painting that – a visible figure over there. I am painting this – a mélange of paint that expresses my disposition when I see that and promises to evoke the same disposition in someone else.” This image may be something in nature, a sitting model, the memory of several experiences, or even the pure image of colors in a pattern. ...the specific symbol most significant to us is the human face. Infants, in their earliest differentiations of consciousness, learn to notice faces. I am always amazed how they spontaneously look at our looking organs – not our ears extending out from the sides, not our noses sticking out in front, not our lips that sing them lullabies and smooch them with kisses -- but our eyes. They “read” a frown far earlier than they understand a word. This image of the face and eyes is loaded with feeling and remains at the core of their sensibilities for the rest of their lives." The border between architecture and engineering is not sharply defined, but it's there. It falls between what and how: architects decide what to do, and engineers figure out how to do it. What and how should not be kept too separate. You're asking for trouble if you try to decide what to do without understanding how to do it. Because painters leave a trail of work behind them, you can watch them learn by doing. If you look at the work of a painter in chronological order, you'll find that each painting builds on things that have been learned in previous ones. When there's something in a painting that works very well, you can usually find version 1 of it in a smaller form in some earlier painting. The other way makers learn is from examples. For a painter, a museum is a reference library of techniques. For hundreds of years it has been part of the traditional education of painters to copy the works of the great masters, because copying forces you to look closely at the way a painting is made. Writers do this too. Benjamin Franklin learned to write by summarizing the points in the essays of Addison and Steele and then trying to reproduce them. Raymond Chandler did the same thing with detective stories. Another example we can take from painting is the way that paintings are created by gradual refinement. Paintings usually begin with a sketch. Gradually the details get filled in. But it is not merely a process of filling in. Sometimes the original plans turn out to be mistaken. Countless paintings, when you look at them in xrays, turn out to have limbs that have been moved or facial features that have been readjusted. This sounds like a paradox, but a great painting has to be better than it has to be. For example, when Leonardo painted the portrait of Ginevra de Benci in the National Gallery, he put a juniper bush behind her head. In it he carefully painted each individual leaf. Many painters might have thought, this is just something to put in the background to frame her head. No one will look that closely at it. Not Leonardo. How hard he worked on part of a painting didn't depend at all on how closely he expected anyone to look at it. He was like Michael Jordan. Relentless. Relentlessness wins because, in the aggregate, unseen details become visible. When people walk by the portrait of Ginevra de Benci, their attention is often immediately arrested by it, even before they look at the label and notice that it says Leonardo da Vinci. All those unseen details combine to produce something that's just stunning, like a thousand barely audible voices all singing in tune. Most makers make things for a human audience. And to engage an audience you have to understand what they need. Nearly all the greatest paintings are paintings of people, for example, because people are what people are interested in. Read "How Art Can Be Good" also by Graham. Read the comments for this article...at the bottom, very interesting. E.G. : "The friend was telling me how curves that approximated curves on the female body, things that triggered very low-level mental reactions, would be placed into automobile designs. I think that rationally designing things to produce a particular impact may go back further than PG gives credit for." "Images are processed 60,000 times faster than words - and in a completely different part of the brain, arriving by way of a completely different neural path. All the people who are compelled to categorize it, define it, classify it, and pontificate about it are using the wrong part of the brain to actually be able to SEE." "Good art is catnip for humans." "Art is for the eye what music is for the ear." "Which violin is the best is not a matter of taste. The sound the best violins produce is generally recognized as better than all others. The closer the sound is to the human voice the better it is thought to be. You can not help responding to it." "Human face, human body, human voice, human relationships...these are the major themes of art in all it's forms."